SavATree’s mission is to take our passion for nature and keep this country’s outdoors beautiful and flourishing. Through our comprehensive tree, shrub, and lawn care we work hard to make sure our discerning customers have attractive, healthy and cared-for green spaces to enjoy. Over the last thirty years, we have opened new offices across the country, and we are looking for people who want to grow with us. The General Tree Care team are the muscle of our operation. These industrial athletes work together to provide high-quality tree care, helping to maintain and preserve the overall health of our clients’ landscapes. In this role, you will have the opportunity to work outside and visit beautiful properties in your community. You’ll apply your expertise in climbing, pruning, and safety to ensure the health and well-being of each client’s landscape. We want everyone to be able to identify and achieve their own version of success, which means giving each employee the room and opportunity to grow. To ensure that everyone has the best chance to succeed, we invest heavily in training and continuing education. We make it easy for you to reach out and get the help you need, even when it’s from the other side of the country. We pride ourselves on creating an environment where each employee has the resources and opportunities to advance his or her career and become a go-to subject matter expert. That’s why we often say that when you work here, you thrive here. Your focus will be to work together on a General Tree Care crew to provide high quality tree care to our clients. You will be involved in all aspects of pruning, removals, cable bracing and other concepts related to tree care. You’ll be able to safely operate all equipment and perform the assigned job tasks while also providing excellent service to our clients. 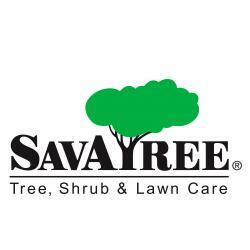 SavATree is committed to an environmentally sensible approach to tree and lawn services. We have been providing professional landscape maintenance services throughout the Northeast, Mid-Atlantic and Mid-West regions of the United States since 1985. Our tree care industry certified arborists add value and beauty to residential, commercial, institutional and historic properties using environmentally sensible tree, shrub and lawn care principles. Our tree care company currently has 33 office locations servicing select communities in CO, CT, DC, GA,IL, MA, MN, MD, NJ, NY, PA, VA and WI.